You have probably heard the many New Year’s Resolutions each and every year: “I want to lose 10 pounds”, or “I will save enough money to buy a new car”. Many of us have started the goal setting process, but maybe didn’t finish it through to the end. Oh well, if you don’t actually reach those goals you set this year, you can always try again next year, right? You could - but don’t you want to feel the sense of accomplishment and check that goal off the list? SMART goal setting is a whole new definition of efficiency and reaching success. We don’t just mean acting smart, but actually defining a specific, measurable, attainable, realistic, and timely goal. This SMART process will make all the difference in your achievements and level of success. Making your goal more specific will increase your likelihood of accomplishing it. This is the part of your goal where you want to focus on the number of visits, leads or customers you are getting. It is not important to focus on metrics that don’t impact the bottom line, like Facebook likes, for example. Ask yourself these six questions to help your goal be as specific as possible. Who is involved with this goal? Where is the location this goal takes place? When should this goal be accomplished by? Which requirements and constraints are identified for this goal? An example of a general goal would be, “I want to blog more.” In order to be more specific this goal could be, “I will post to my business blog three times a week from June 1, 2014 - January 1, 2015.” Adding in some specific details will make your goal easier to accomplish and measure. Inbound Tip: Before you come up with the specifics of your goal, determine your business objectives and who you are targeting. These details may help you establish specific components of your goal. Your goals should be measurable. It will be extremely helpful to provide a number like how many visits, leads, or customers you’d like to gain in order to consider your efforts a success. Like in the example above, adding in the specific details of blogging three times a week and placing a start and finish date ensures that you can measure the goal effectively. Do you have a larger goal that will take longer to accomplish? If this is the case then creating a timeline to help you stay on track could be helpful. You can set smaller goals with due dates to lead you up to accomplishing the entire goal. Inbound Tip: Making your goal measurable will help you define your business’s success more easily. If you find yourself continuously reaching for “more” leads or visitors, step back and assess your inbound marketing metrics and set a clear number of leads or visitors you want to achieve. You can try looking at the metrics of your key performance indicators (KPIs) to get an idea of which area you should focus on boosting the most. When you establish a goal that you would like to accomplish you begin to think about the goal more than ever. You most likely will think of ways that you can achieve that goal and what type of attitudes, skills and other capabilities you will need to possess to reach it. You can achieve any goal you’d like to, but you must plan out your time accordingly. Creating a list of goals for yourself is just the beginning to mapping out your self-image. Even though you may not complete each goal right away, you will notice that you grow as a person to reach those goals. Inbound Tip: In order for your goal to be attainable you must understand the benchmarks that are involved with your goal. Don’t set the bar too high because you don’t want to get discouraged when you don’t reach it; on the other hand, don’t set the bar too low, because when goals are too easy to achieve you won’t feel like you accomplished much. Each goal you set for yourself must be realistic, or else you will have an extremely hard time accomplishing it. In order to be realistic, you must be willing to put in the time and effort to work towards the accomplishment. It can be difficult to motivate yourself to reach a large goal; with this being said, we suggest setting a few stepping stone goals so that you can track your progress to the overall goal. Inbound Tip: Your goal must also be relevant to your business, your industry and the ultimate end goal of your company. It’s essential to keep your industry’s current situation in mind when setting relevant goals. There could be a time when the industry is in a decline and new competitors are entering the market. If this is the case, you might focus your goals on attracting more visitors to your site and generating more leads. Every goal should have a time frame. Setting a due date for the goal will help motivate you to actually complete your tasks and assist you in measuring your progress. If you don’t set a time frame for your goal then you don’t have anything to work up to. For all you know, this goal could go on forever, which in reality means it probably would never be reached. Inbound Tip: Always set a finish date for every goal. Setting a date will motivate you to reach your objective. Make sure you don’t set an unrealistic time frame because you don’t want to stress yourself out or do a mediocre job to reach a due date. If you think you didn’t give yourself enough time, revise your goal and set the finish date for a later time. I hope you found these SMART goal setting tips to be helpful and will use them to assist you in becoming a better goal achieving inbound marketer. Just remember that accomplishing a goal can be difficult at times. If you find yourself getting overwhelmed just take a deep breath, try approaching the goal from a different direction and you will eventually be able to achieve any of your SMART goals. 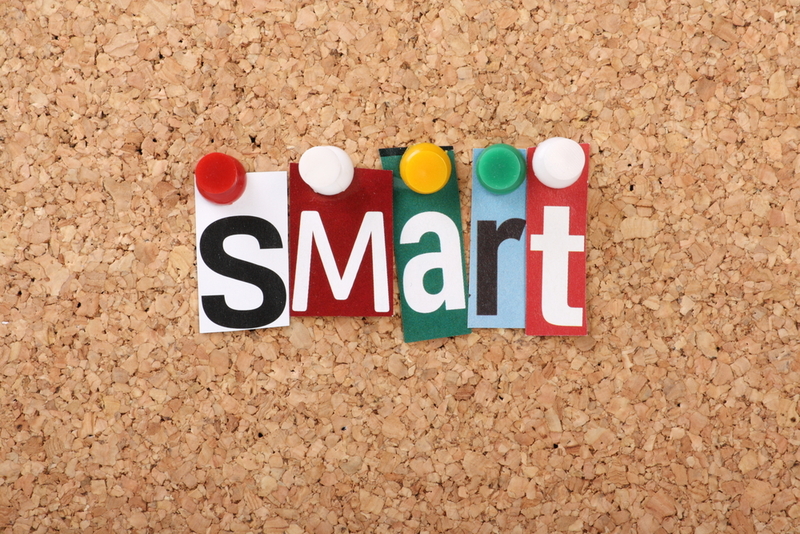 Do you know of any helpful SMART goal setting tips? Leave us a comment below and let us know!